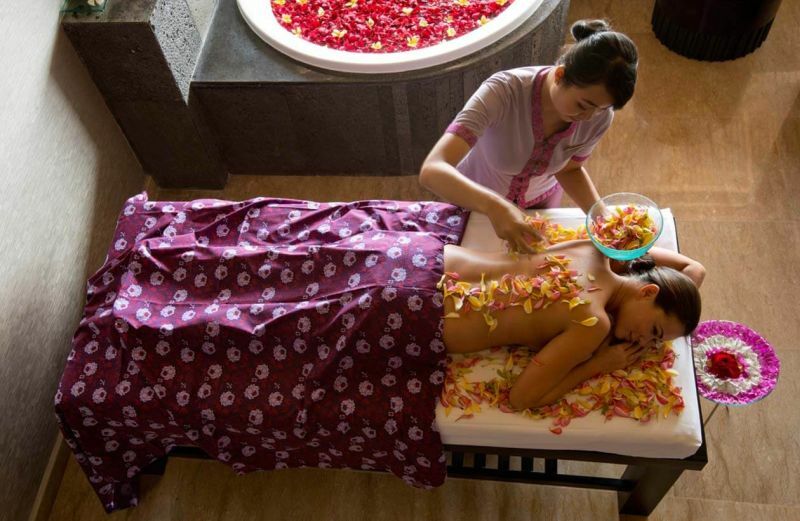 AYANA Spa is famous for its relaxing massages and ancient healing remedies. Back in 2016, they were declared Indonesia’s best spa facility. So, for obvious reasons, no trip to the island is complete without getting the hang of the following amazing signature treatments and massages. This involves steamed herbal pouches containing fresh herbal blend of three healing gingers (known for their healing and rejuvenating properties). The blend helps you relax tight muscles, through some long, flowing, deep tissue strokes, acupressure and gentle stretching techniques. The AYANA signature Lava Stone Reflexology treatment combines techniques from China, Thailand and Europe. It begins with a ceremonial footbath followed by an energizing leg massage and a therapeutic foot reflexology usinga custom set of Lava stones from the mountain. To complete the treatment, one is given a deeply relaxing hand, neck, and shoulder massage to release the burdens of everyday living; thus, helping you brighten your mood. 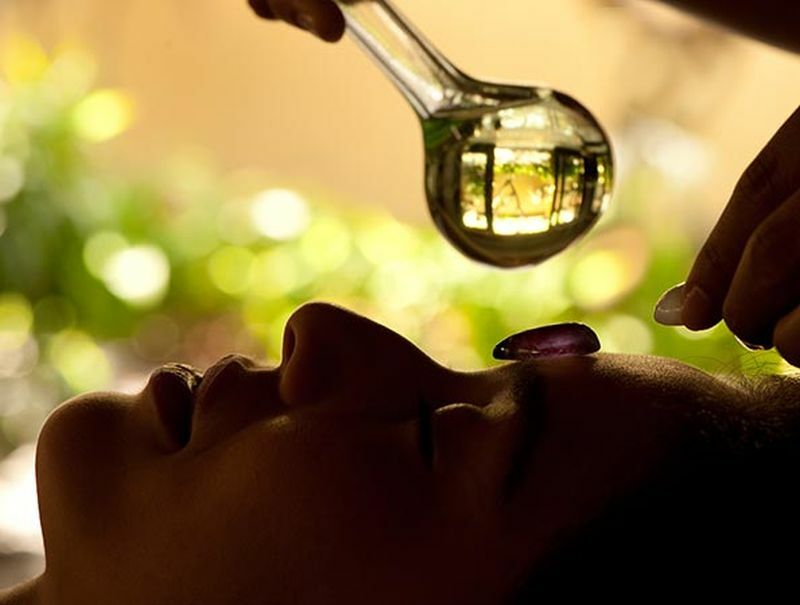 This is a one-of-a-kind signature experience drawn from exotic massage traditions of Ayurveda together with synergistic aromatherapy blends of gemstone therapy and chakra sound healing to relax the body, open your chakras and renew your spirit. AYANA’s Hindu therapists use pranic healing by visually projecting a ‘color’ from their hands onto your body and chanting internally a sacred tone that’s called a ‘bija mantra’. Balanced and cleansed anew, the treatment leaves the guest in an optimum state of well-being. This is a 60-minute Aromatic Petal Massage and 40-minute Signature Facial for treating the guests’ delicate skin with the natural touch it deserves. The Back to Nature full body and signature facial treatments are exclusive at RIMBA Rooftop Spa since they are inspired by the spa’s focus on holistic beauty and wellness. The guest is renewed with a youthful glow after been given a relaxing and healing 60-minute Aromatic Petal Massage. 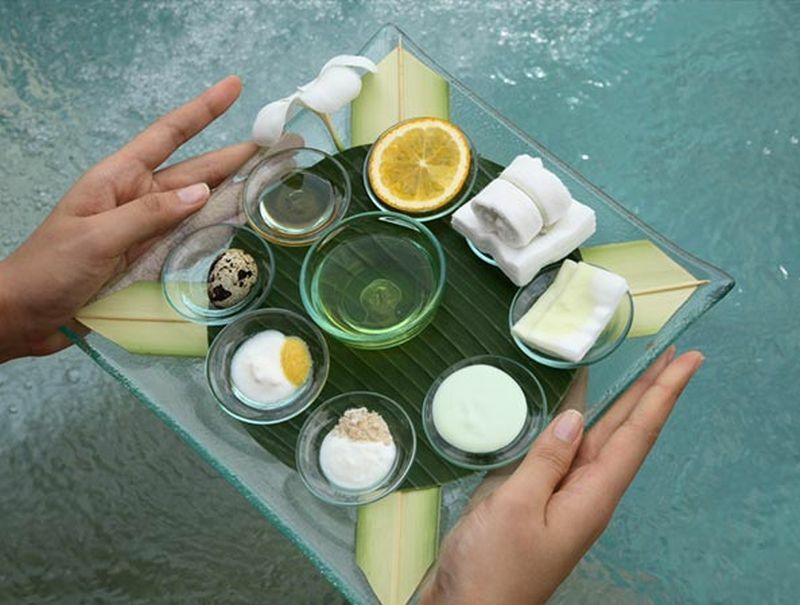 To ensure visitors look and feel good while they are in the best spa in Bali, they are given a 40-minute Signature Facial that utilizes pure botanical ingredients. This involves a face and neck massage using the famous ‘Nakatsuji Method’ developed by a renowned Japanese orthopaedic and anti-aging expert Tadashi Nakatsuji, with the aim of shaping the face, reducing the appearance of fine lines, and stimulating collagen production. This massage uses grape seed almond oil since they are rich in antioxidants and fatty acids to nourish and soften the skin. It concludes with Nakatsuji’s own trademarked anti-aging facial cream. Shiatsu is specially designed for guests that shy away from using massage oils during their treatments. It is a non-oil 50-minute massage that uses the varied techniques of kneading, pressing, tapping and stretching to relieve stress, stimulate the nervous system, aid in digestion and reduce muscle stiffness. This deeply relaxing, 75-minute massage is a beautifying body treatment that promotes slimming, detoxification, stress release, and cellular rejuvenation. Trained by a Japan’s anti-aging expert, AYANA’s therapist combines strategic acupressure points with long firm strokes to ensure full body healing. This treatment starts with a 60-minute oil-free rejuvenating body massage to target the areas of muscular pain, and assist in slimming and detoxification by enhancing lymphatic drainage. Shoulder and head massage eliminates headaches and tension caused by poor posture and prolonged computer use. This is followed by a 30-minute face massage to shape the face and neck, reduce fine lines, and stimulate collagen production. This fresh and natural approach combines the Swedish and Deep Tissue massage strokes in a beautifully crafted set of warmed aroma oil-soaked Bamboo tools to roll, slide, knead and tap the guest into a deep state of relaxation. The foot massage utilizes the ancient Egyptian, Chinese and Indian therapy by focusing on the reflex points in the feet to improve blood circulation and ensure a long and healthy life.